Place 1 pineapple ring in bottom of wide-bottom glass or cup. Top with yogurt. Top yogurt with remaining pineapple ring. Place cherry in center of ring. Serve immediately. Swap canned pineapple rings or 1/4 cup chopped fresh pineapple for the fresh pineapple rings, if desired. 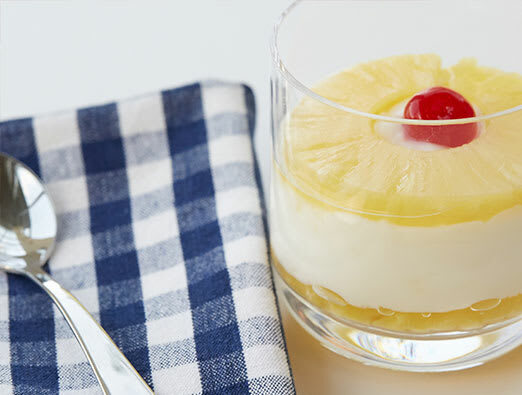 Swap your favorite tropical fruit-flavored variety of Yoplait® yogurt for the pineapple upside-down cake yogurt.